Gazpacho is a tomato-based, vegetable soup, traditionally served cold, originating in the southern Spanish region of Andalucía. 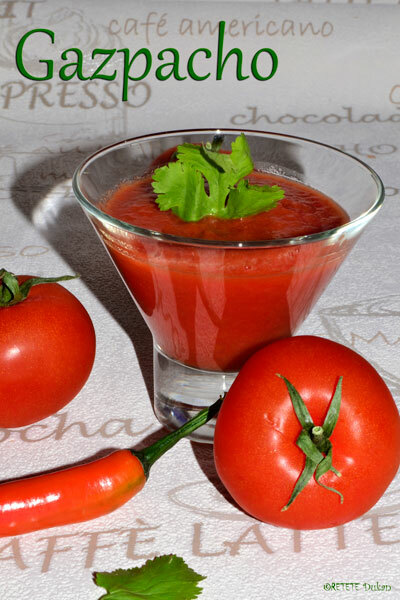 Gazpacho is widely consumed in Spanish cuisine, as well as in neighboring country Portugal, where it is known as gaspacho. 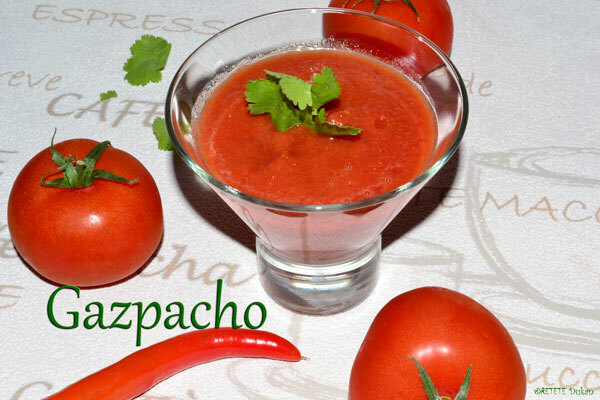 Gazpacho is mostly consumed during the summer months, due to its refreshing qualities and cold serving temperature. Be carefull because it is very spicy! A very good dukan recipes that I have tried. Start by chopping the onion and garlic cloves. After that, chop the ripe tomatoes, bell pepper, and celery, then stir in the vinegar, 1/2 cup water, pinch of paprika. Mix everything together in a blender and refrigerate for a couple of hours. Season to taste, then serve with ice cubes.